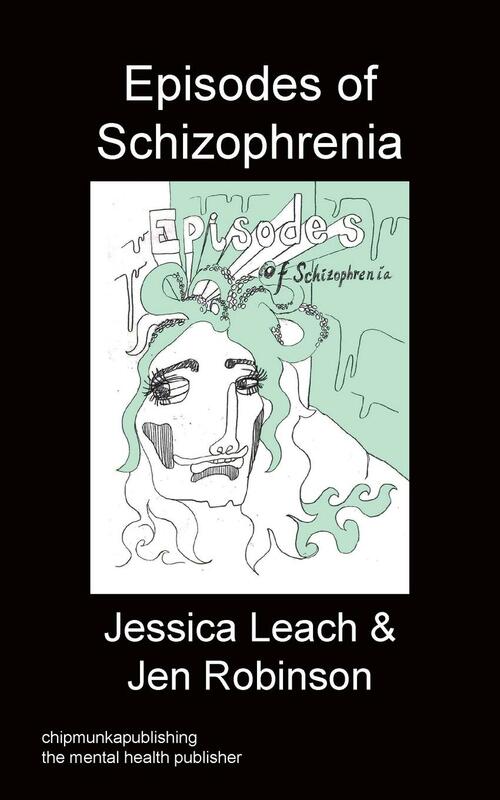 Joshua Udell gives a brutally honest look at what goes on in ..
Schizophrenia is one of the most misunderstood mental illnesses and yet 1 in 100 people suffer from it. 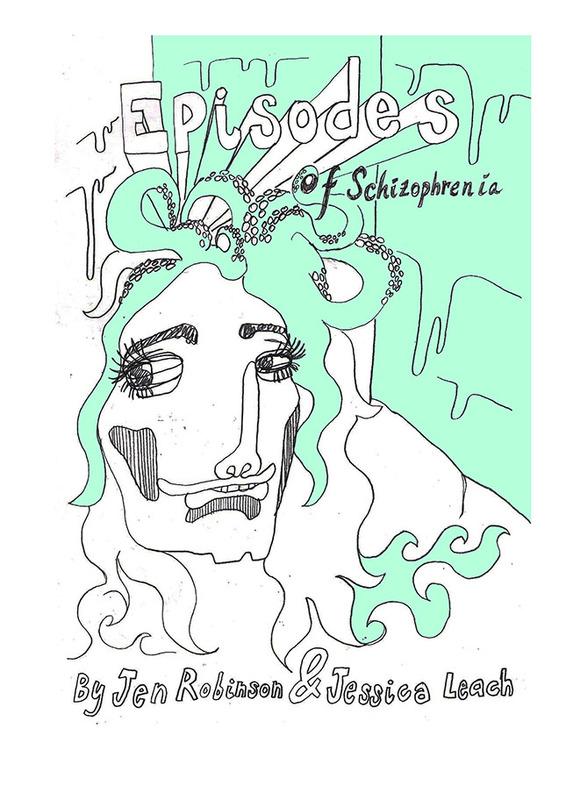 Just what goes on inside the mind of a schizophrenic? 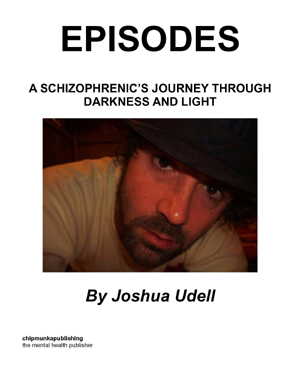 Joshua Udell give insight into what goes on in my mind as a person with schizophrenia. A rare look into the frightening and alarming visions, hallucinations, delusions he has experienced. This true story shows hope for families of and those who suffer with mental illness. What would you do if your mind was playing tricks on you? I for one have experienced the games schizophrenia can do if not careful. Joshua Udell has seen schizophrenia lead him down a path of confusion and chaos. Luckily, Mr. Udell has overcome with help from incredible people that have knocked down the powerful force within his mind to overcome. While there is no cure, there is help and fortunately the paranoia has been nearly swallowed up in the battle between darkness and light to the pathway to surviving and recovery. Since Joshua and his wife Lindsay got married, it has been one of their family’s goals to share and educate on issues regarding mental illnesses. Joshua Udell would like to change the stigmas that surround the most misunderstood mental illness, schizophrenia and hope this book will help. Joshua Udell is a successful husband, father, writer, teacher and minister battling with schizophrenia. Joshua received his bachelors degree in Biblical Literature from Ozark Christian College in Joplin, Missouri and is an ordained minister. Mr. Udell was born in Omaha, Nebraska on October 3rd 1979 and has been married since June of 2002 and enjoys family time with his wife Lindsay and son Jesse. Joshua Udell grew up learning about Islam, Christianity, Judaism and Buddhism and is a writer of prophecy and many religious subjects. Mr. Udell has done funerals, weddings, and has preached in several states including overseas in Chang Mai, Thailand. Joshua has traveled the world, lived in Riyadh, Saudi Arabia and has visited many countries including Egypt, Jordan, Israel, Bahrain. Scuba dived in the Red Sea and floated in the Dead Sea. Mr. Udell has also visited France, England, China (Hong Kong), Myanmar, Thailand, Laos and Mexico. Joshua currently resides in Webb City, Missouri. My very good friend and neighbor knocked on my door, while I was wide awake laying on the couch engulfed by the television screen about a rapture that was going to happen any moment. As he interrupted my rapture preparations the strangest thoughts came to me as Porter asked me to accompany him to return some videos. I’m feeling lazy and prepared for anything the great disappearance of many people. Rapture I'm ready! I am about to experience the rapture of all. I felt as the night is good for a walk to the video store or a rapture. He invited and I insisted. We closed the door behind us and the next thing I knew no rapture happened, driving in my neighbors car, instead of walking I was wondering where he had rented his videos, apparently the hospital unit. Doctors confirmed my friend’s fears and a few hours later, which seemed many more to me, a rapture did take place a disappearing where I was out cold, completely gone and in the twinkling of an eye I found myself in the hospital unit. I had disappeared, but it didn't seem like my television set had been describing, it was more like, a foggy dream lost, passed and a rapture of gobbledygook. Damn that television, I felt as if that's what happened to me this serene blustery night, but only as if a commercial interrupted all the perfection. When it first began, I thought to myself, “What happened?” I didn’t know what was going on. All I knew was that I felt as if something supernatural was taking place. As if God was in or mimicking me, or was it the other way around? As if I was doing the things that God wanted me to do. I was out of it or shall I say I was spacey. No one really mattered to me living in or on the seventh realm of life. The presence of awe-inspiring thoughts that were bouncing through my head as a racquetball bounces back and fourth. But eventually the game is over. That one still takes me a lot to realize. Because every so often it seems like the racquetball game keeps going, and at times gets louder and fearfully more competitive. At other times, the mental images of past emotions and expressions that you have seen in your life make you feel broken and with no place to go to dry your eyes from the feelings that seem impossible to decode. You try and then you hear the words, “Are you in another episode?” Laughing I might think to myself, “Yes, this time it’s the episode when Anakin Skywalker takes over the world.” But so-called reality has to trickle in, which can actually be a deterring moment. A trouncing of your faith, battering your beliefs that this time you are too far gone or that this time you have departed to an empty terrain where the radar has broken and no one knows where you are. I am not an ordinary individual, but neither was Van Gogh, Einstein, Mozart, and for that matter Poe or Louis Carroll. But everyone, maybe once in awhile, wants to be extravagant. After all movie stars, writers, musicians, and inventors are usually bizarre or odd people. People want to excel, my episodes have allowed me to accelerate an impressive story with facts and fiction of recollections.